Recent progress in applying machine learning for jet physics has been built upon an analogy between calorimeters and images. In this work, we present a novel class of recursive neural networks built instead upon an analogy between QCD and natural languages. In the analogy, four-momenta are like words and the clustering history of sequential recombination jet algorithms is like the parsing of a sentence. Our approach works directly with the four-momenta of a variable-length set of particles, and the jet-based tree structure varies on an event-by-event basis. Our experiments highlight the flexibility of our method for building task-specific jet embeddings and show that recursive architectures are significantly more accurate and data efficient than previous image-based networks. We extend the analogy from individual jets (sentences) to full events (paragraphs), and show for the first time an event-level classifier operating on all the stable particles produced in an LHC event. K. Cho, B. van Merriënboer, D. Bahdanau and Y. Bengio, On the properties of neural machine translation: Encoder-decoder approaches, arXiv:1409.1259. K. Cho et al., Learning phrase representations using rnn encoder-decoder for statistical machine translation, arXiv:1406.1078. Y.L. Dokshitzer, G.D. Leder, S. Moretti and B.R. Webber, Better jet clustering algorithms, JHEP 08 (1997) 001 [hep-ph/9707323] [INSPIRE]. J. Chung, C. Gulcehre, K. Cho and Y. Bengio, Empirical evaluation of gated recurrent neural networks on sequence modeling, arXiv:1412.3555. T. Sjöstrand et al., An Introduction to PYTHIA 8.2, Comput. Phys. Commun. 191 (2015) 159 [arXiv:1410.3012] [INSPIRE]. DELPHES 3 collaboration, J. de Favereau et al., DELPHES 3, A modular framework for fast simulation of a generic collider experiment, JHEP 02 (2014) 057 [arXiv:1307.6346] [INSPIRE]. D.P. Kingma and J. Ba, Adam: A Method for Stochastic Optimization, arXiv:1412.6980 [INSPIRE]. J. Thaler and K. Van Tilburg, Identifying Boosted Objects with N-subjettiness, JHEP 03 (2011) 015 [arXiv:1011.2268] [INSPIRE]. S. R. Bowman, C. D. Manning and C. Potts, Tree-structured composition in neural networks without tree-structured architectures, arXiv:1506.04834. G. Louppe, M. Kagan and K. Cranmer, Learning to Pivot with Adversarial Networks, arXiv:1611.01046 [INSPIRE]. P. Chiappetta, P. Colangelo, P. De Felice, G. Nardulli and G. Pasquariello, Higgs search by neural networks at LHC, Phys. Lett. B 322 (1994) 219 [hep-ph/9401343] [INSPIRE]. A.J. 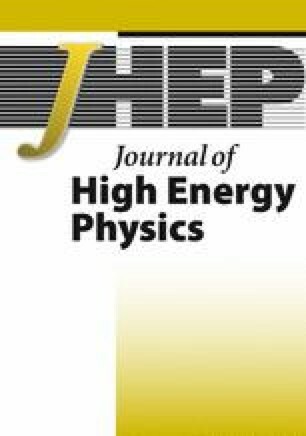 Larkoski, I. Moult and B. Nachman, Jet Substructure at the Large Hadron Collider: A Review of Recent Advances in Theory and Machine Learning, arXiv:1709.04464 [INSPIRE]. M. Russell, Top quark physics in the Large Hadron Collider era, Ph.D. Thesis, Glasgow University, Glasgow U.K. (2017) [arXiv:1709.10508] [INSPIRE]. T. Cheng, Recursive Neural Networks in Quark/Gluon Tagging, Comput. Softw. Big Sci. 2 (2018) 3 [arXiv:1711.02633] [INSPIRE]. CMS collaboration, New Developments for Jet Substructure Reconstruction in CMS, CMS-DP-2017-027 (2017). S. Egan, W. Fedorko, A. Lister, J. Pearkes and C. Gay, Long Short-Term Memory (LSTM) networks with jet constituents for boosted top tagging at the LHC, arXiv:1711.09059 [INSPIRE]. I. Henrion et al., Neural Message Passing for Jet Physics, in Proceedings of the Deep Learning for Physical Sciences Workshop at NIPS (2017), Long Beach U.S.A. (2017), https://dl4physicalsciences.github.io/files/nips_dlps_2017_29.pdf. S. Choi, S.J. Lee and M. Perelstein, Infrared Safety of a Neural-Net Top Tagging Algorithm, arXiv:1806.01263 [INSPIRE]. R.T. D’Agnolo and A. Wulzer, Learning New Physics from a Machine, arXiv:1806.02350 [INSPIRE]. A. Andreassen, I. Feige, C. Frye and M.D. Schwartz, JUNIPR: a Framework for Unsupervised Machine Learning in Particle Physics, arXiv:1804.09720 [INSPIRE]. S.R. Bowman, J. Gauthier, A. Rastogi, R. Gupta, C.D. Manning and C. Potts, A fast unified model for parsing and sentence understanding, arXiv:1603.06021. D. Yogatama, P. Blunsom, C. Dyer, E. Grefenstette and W. Ling, Learning to compose words into sentences with reinforcement learning, arXiv:1611.09100. J. Bruna, W. Zaremba, A. Szlam and Y. LeCun, Spectral networks and locally connected networks on graphs, arXiv:1312.6203. M. Henaff, J. Bruna and Y. LeCun, Deep convolutional networks on graph-structured data, arXiv:1506.05163. Y. Li, D. Tarlow, M. Brockschmidt and R.S. Zemel, Gated graph sequence neural networks, arXiv:1511.05493. M. Niepert, M. Ahmed and K. Kutzkov, Learning convolutional neural networks for graphs, arXiv:1605.05273. M. Defferrard, X. Bresson and P. Vandergheynst, Convolutional neural networks on graphs with fast localized spectral filtering, arXiv:1606.09375. T.N. Kipf and M. Welling, Semi-supervised classification with graph convolutional networks, arXiv:1609.02907. D. Maclaurin, D. Duvenaud, M. Johnson and R.P. Adams, Autograd: Reverse-mode differentiation of native Python, http://github.com/HIPS/autograd (2015). 1.Center for Cosmology & Particle PhysicsNew York UniversityNew YorkU.S.A. 2.Center for Data ScienceNew York UniversityNew YorkU.S.A.